With filigree brass mast, authentic varnishing, printed signal disk and under baseboard drive unit. Integrated main switching contacts arrange authentic stop. 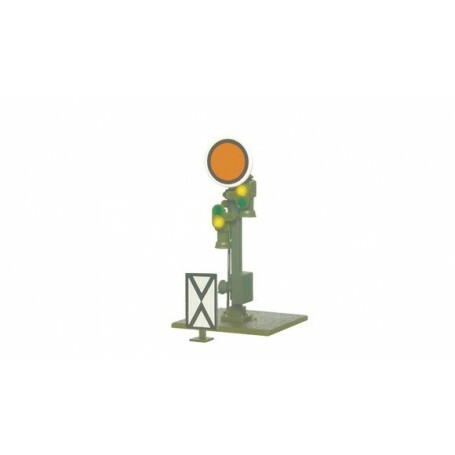 Next main signal shows stop. Signal pictures Vr0 and Vr1.